← How to Choose a Pet Store? 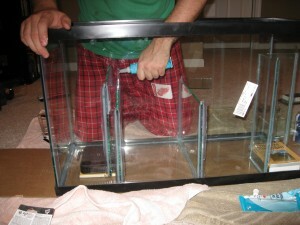 I decided that building your own aquarium sump is important for a few reasons. One, I am a very hands on guy and I like at least attempting to build something myself, albeit that I am not that good at it. 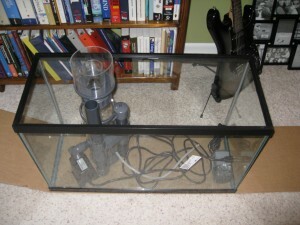 Second, is that the sump that I wanted was between $260-$350 and that is no small investment. I did a lot of reading on the internet about sump design and decided to come up with something that I thought would work. 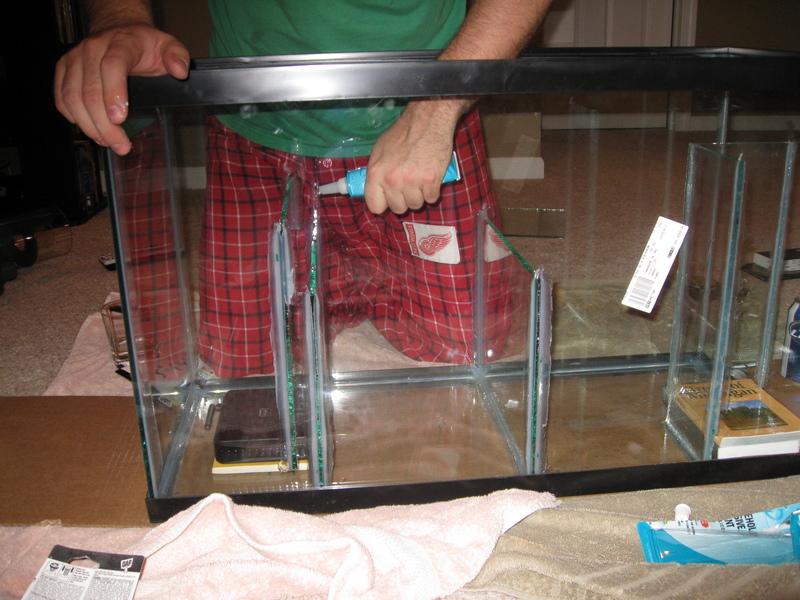 I wanted the skimmer to be in the first water box and I also wanted the option to add a refugium to the center box if it was something I wanted to do in the future. I figured it would be easier to add the option to the sump now as opposed to deciding I wanted one later. Equipment placed in soon to be dump deciding where I wanted the baffles. 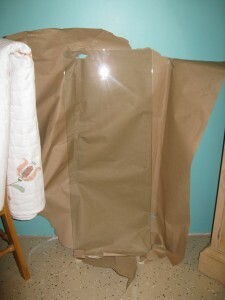 Now that I knew where I thought the best place was to put the baffles I went to work cutting the glass to size. 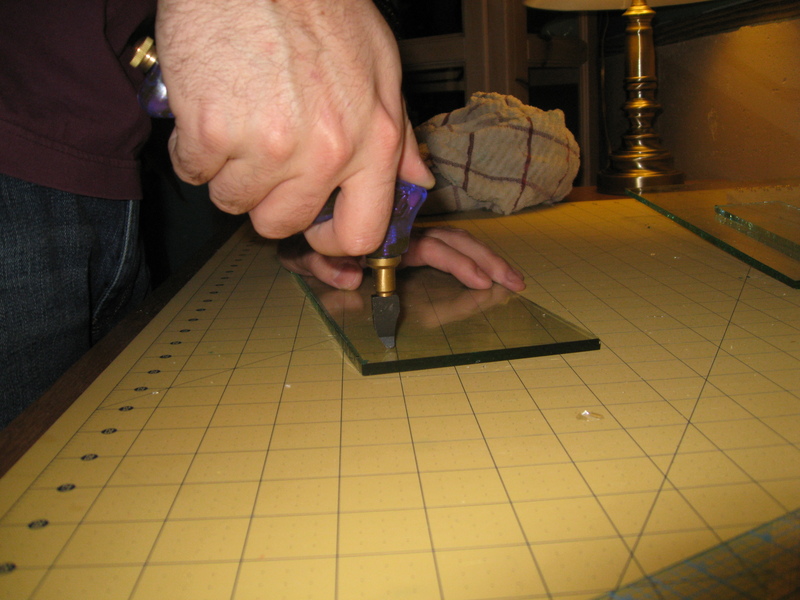 Using a well oiled cutter I am cutting the glass to size. Once the glass cut to size it was just a matter of siliconing them in place where I wanted them. The picture above is the final design that, at least for now, I am going with. You can count on there being a lot more posts about this sump in the future. I am just hoping I have made something that will act as a good biological and mechanical filter for my future fishes. What is a Filter Sock and How to Change it? How to Choose a Pet Store? Correct Grammar: Fish or Fishes? 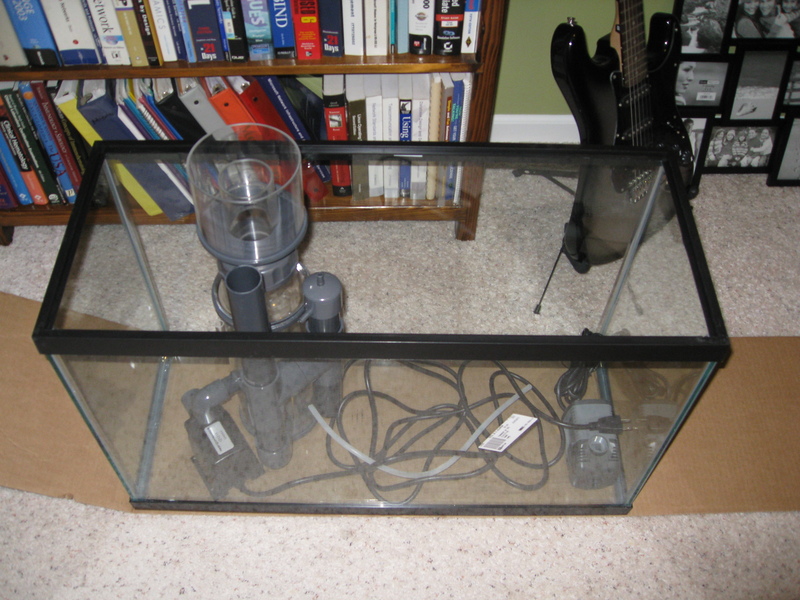 This entry was posted in DIY Components and tagged aquarium, diy, refugium, saltwater, sump. Bookmark the permalink.